When the Philippines’ president, Rodrigo Duterte, took office in June, he announced a sweeping crackdown on drug trafficking in the island nation. Under Duterte, 712 drug suspects had been killed in police operations since July 1, while 1,067 killings were carried out by vigilante groups during the same time-frame, National Police Chief Ronald dela Rosa, told a Philippines senate committee on Monday, according to the New York Times. Senators have been questioning police on the killings as part of joint hearings by the Senate’s committee on justice and human rights and the committee on public order and dangerous drugs. The senators also heard from witnesses accusing police of gunning down their family members for being involved in illegal drugs. 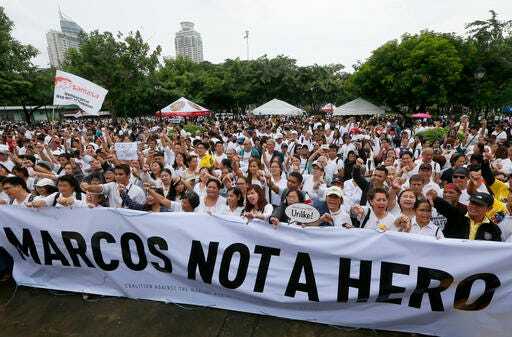 Senator Leila de Lima, the head of the Senate justice committee, said she’s concerned that some law enforcers and vigilantes are using the campaign against drugs to “commit murder with impunity” since many killings had not been carried out legally, AP reported. Between July 1 and August 15, 665 people were killed by police while another 899 were murdered by unknown killers, dela Rosa reported to the committee last week, according to the Washington Post — a drastically lower number than the one reported on Monday. Police didn’t explain the sudden increase in deaths over the past week, but senators are expected to question them about the tally on Tuesday. The spate of killings has alarmed human rights groups including U.N.-appointed human rights experts, who have urged the country to stop the killings. But Duterte’s foreign ministers later said the Philippines would not do so, and the president threatened to withdraw from the United Nations. The Philippines’ foreign secretary Perfecto Yasay said his country is “certainly not leaving the U.N.,” CNN reported on Monday. Duterte, known locally as “the Punisher,” campaigned on a pledge to rid the country of drug dealers and won a landslide presidential election in May. The 71-year-old leader has publicly advocated the killing of suspected drug dealers, urging citizens to kill criminals if they feel it’s necessary. “Shoot him and I’ll give you a medal,” Duterte said in June, according to AP. Richard Javad Heydarian, a political science professor at De La Salle University in Manila, told the Times that Duterte’s brazen stance is indicative of outsized public expectations. Duterte’s massive support in the Philippines “largely has to do with dissipated public trust in existing judicial institutions, a sense that the normal democratic processes are not coping with the magnitude of the crisis,” said Heydarian. 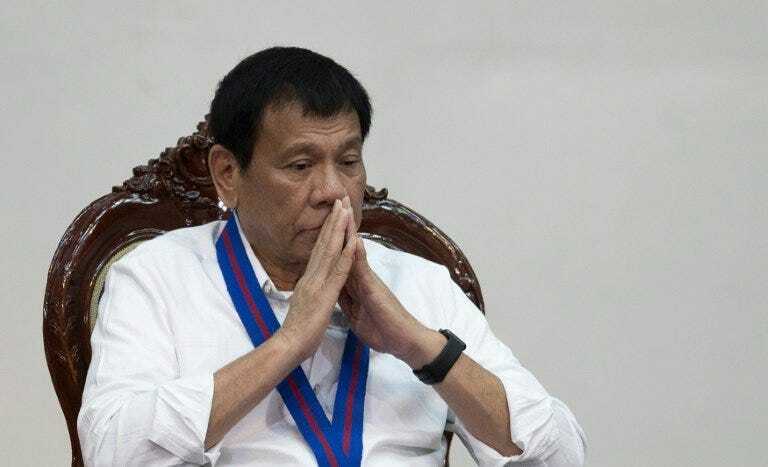 Duterte threatened to declare martial law in early August when the Philippines’ Supreme Court questioned his authority to oversee judges who’ve been accused of taking part in drug-dealing activities, Al Jazeera reported. During Monday’s hearing, one of the witnesses, Harra Bertes, said policemen had beaten up, arrested, and killed her husband, a suspected drug dealer. 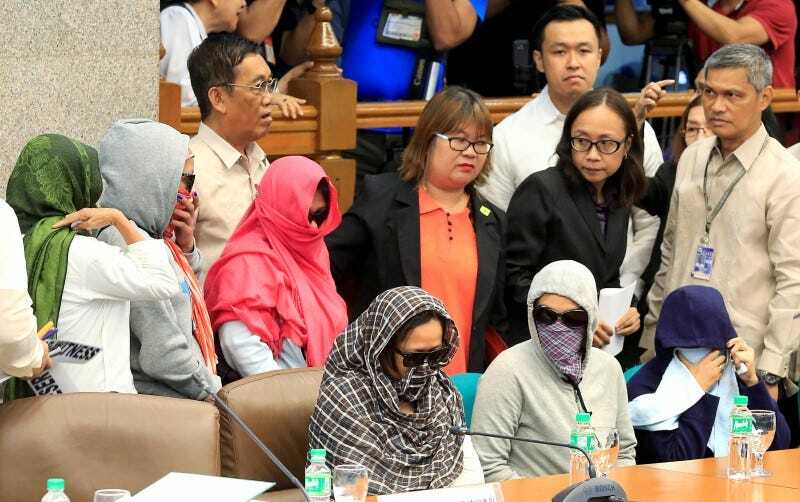 Police raided Bertes’ house, demanded the surrender of drugs that she did not have, and removed the underwear of her two-year-old daughter to search for illegal drugs, Bertes told the committee, according to Philstar.com. Approximately 600,000 suspected drug dealers or users have surrendered to the police since Duterte’s drug crackdown began, Philippines’ authorities said, according to the Times.